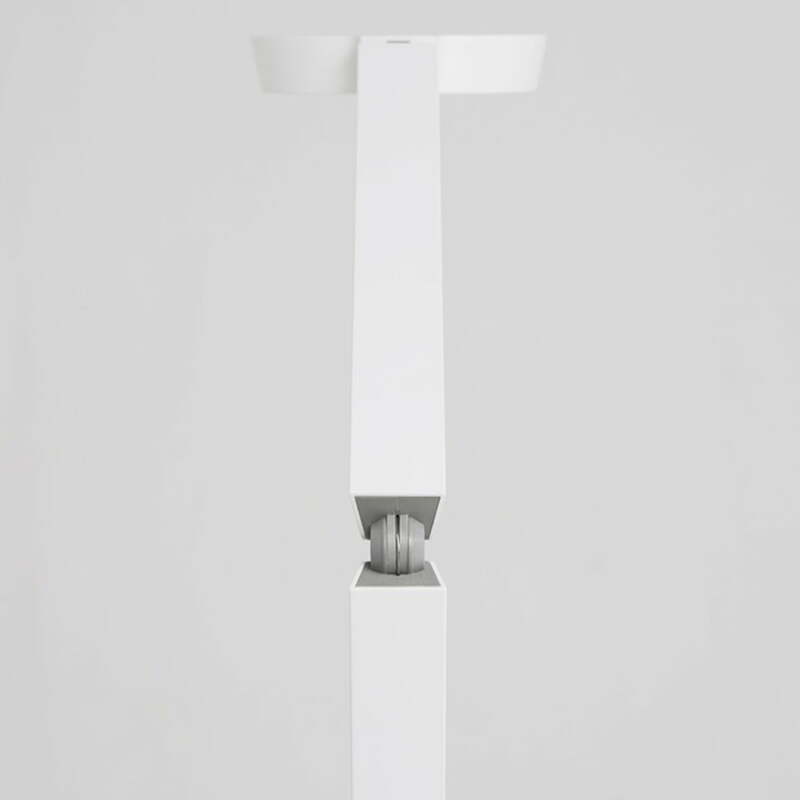 The Claesson Koivisto Rune w081f is a highly technical floor lamp for private rooms. 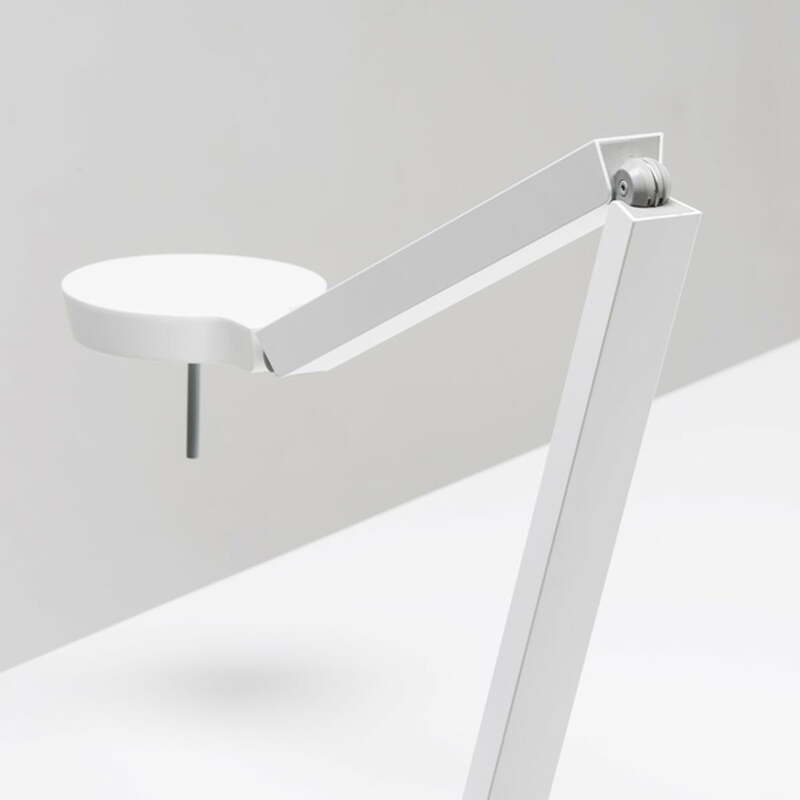 Numerous features are hidden in the extremely clearly designed lamp by Wästberg. The Wästberg floor lamp w081f is named after its designer, Claesson Koivisto Rune, who made this lamp clear and appealing. Simultaneously the w081f also has some technical details, which make it perfectly suitable as working lamp. 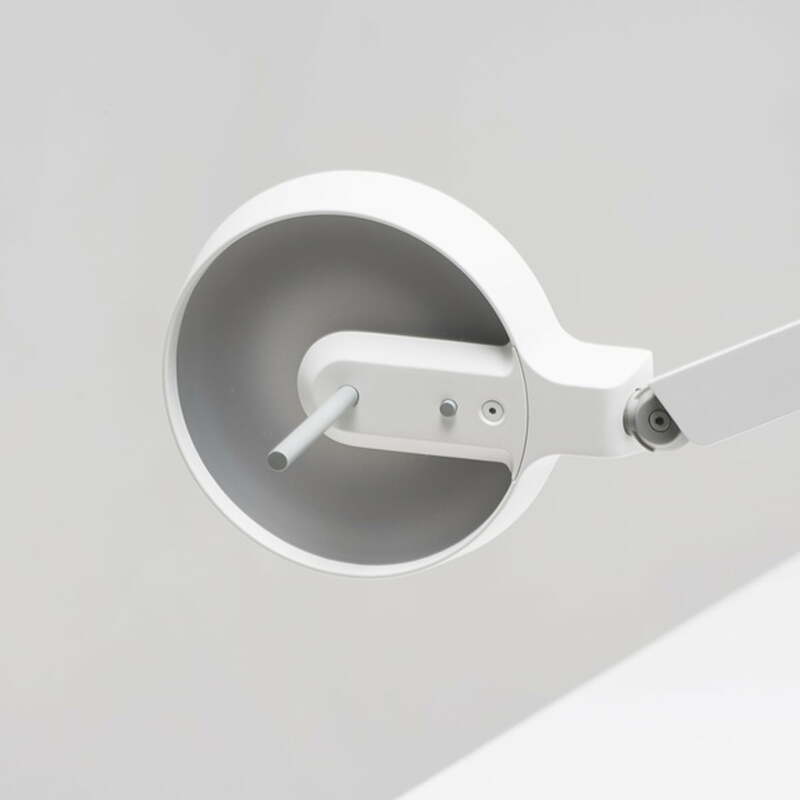 The flexible arm is adjustable at three joints – which is the reason why this lamp can be placed in corners where it saves space - and the lamp’s head is rotatable by 80° in every direction. This flexibility allows an ideal illumination for different situations and surroundings. The w081f has 30 LEDs hidden under a diffusor making the light glare-free, powered with only 10 Watt for an environmentally friendly energy consumption. 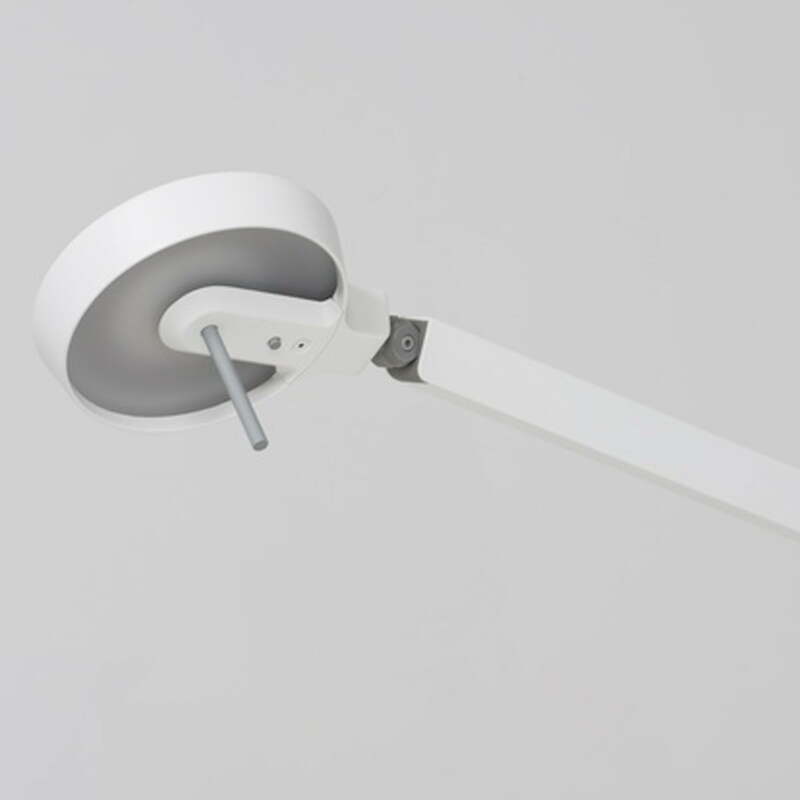 The light of the Wästberg floor lamp is warm white with 3000 K and it creates a pleasant and comfortable working mood. 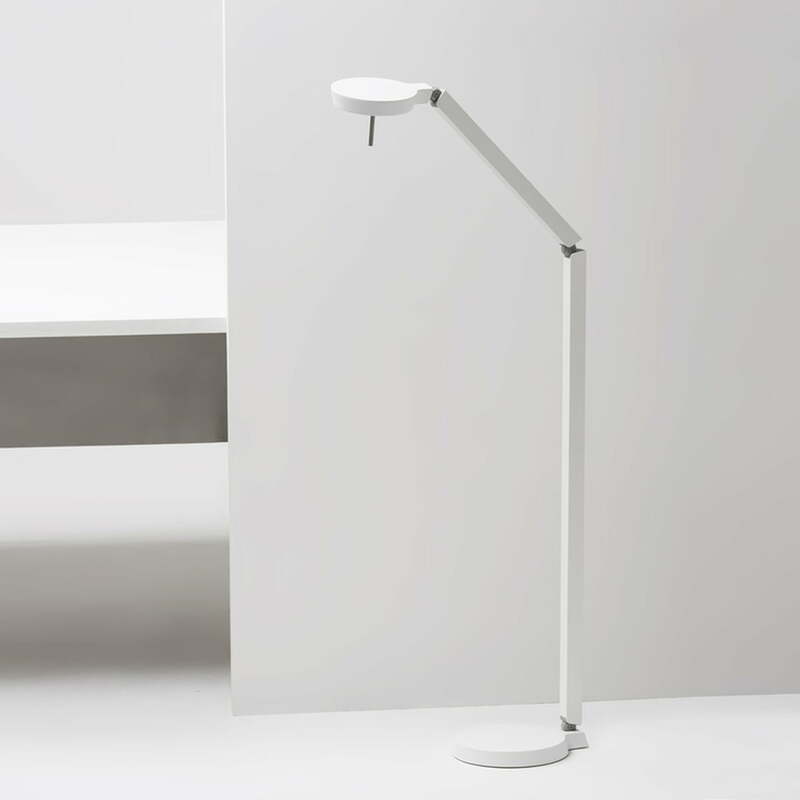 The light’s intensity of the minimalistic floor lamp from Wästberg is adjustable with a dimmer if desired. The control elements are decently hidden in a straight-lined design, which seamlessly fits in almost every surrounding. 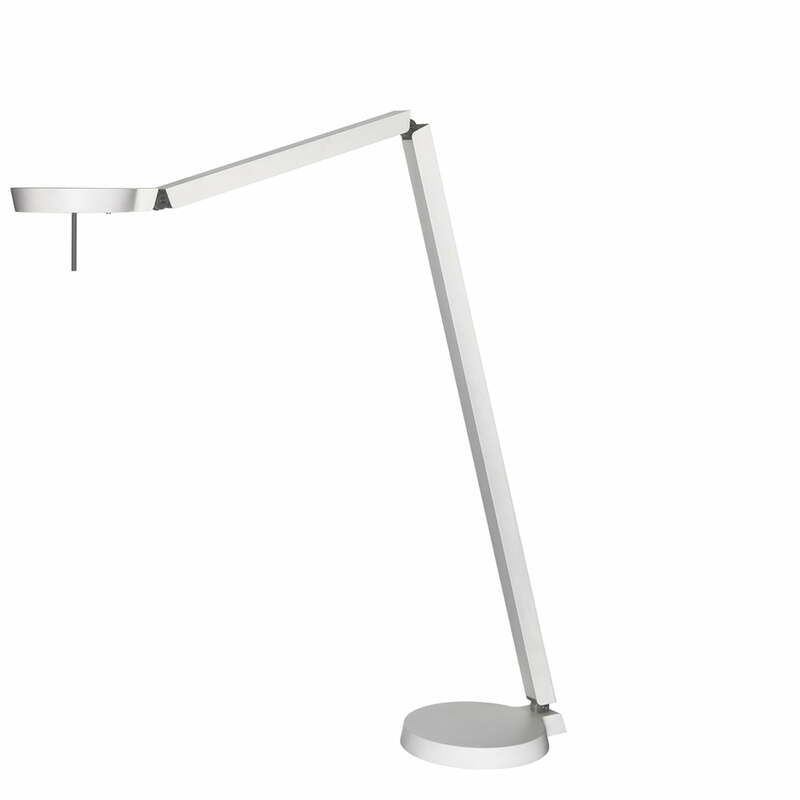 This makes the Claesson Koivisto Rine floor lamp w081f a suitable light source for every day and event. 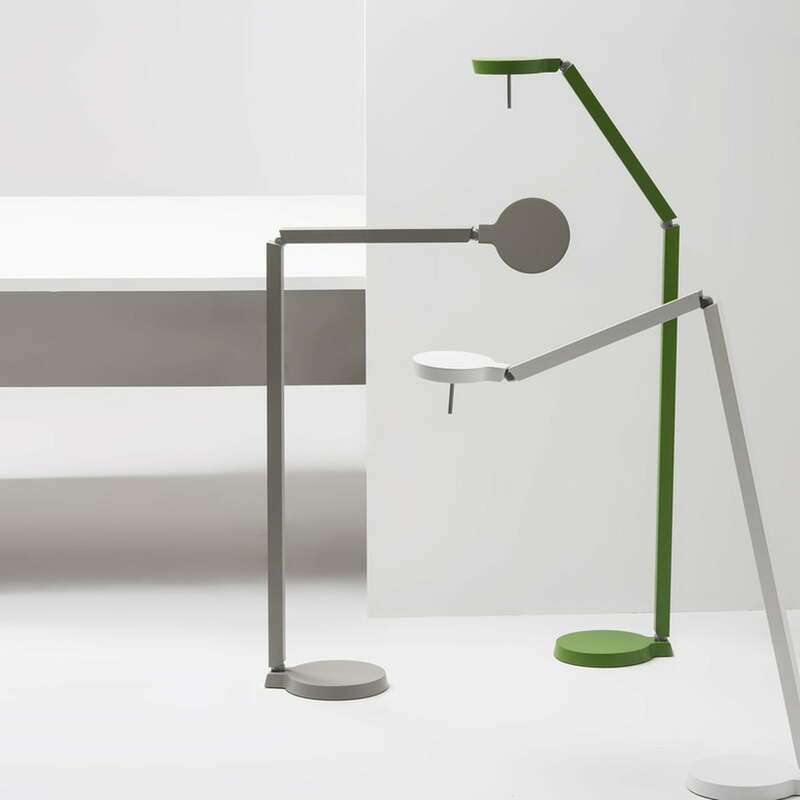 Another technical refinement is the integrated timer, which switches the lamp off after five hours of performance. 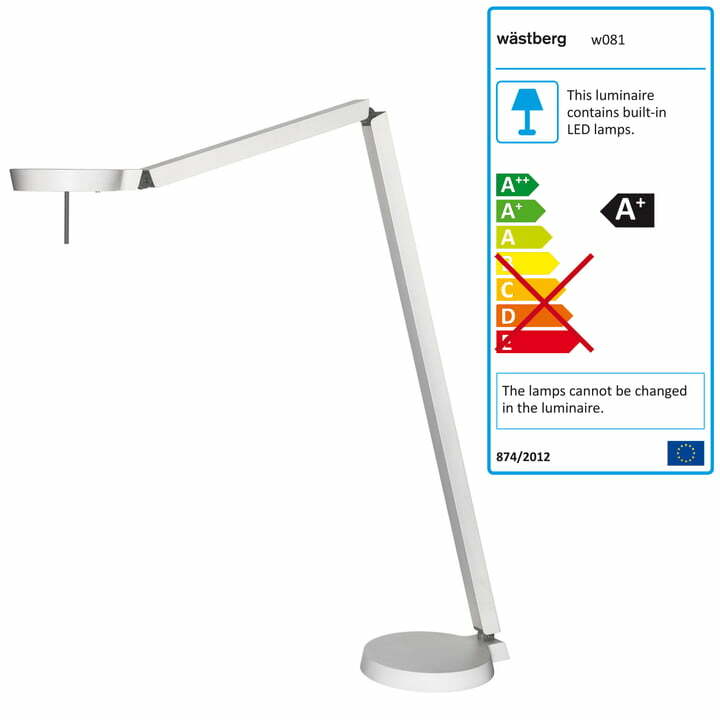 The Wästberg w081f is also available in further colours, as table lamp and as wall lamp.